Even if you use propane gas to heat your home and power your household appliances, chances are that you’ve never really stopped to think about propane tanks, how much they cost, the sizes that are available and everything that goes into getting a regular propane tank refill. This article will focus on the use of propane tanks in Portsmouth, Rhode Island, how they are used, the cost of propane fuel compared to other types of home energy sources, the different options available and information on propane delivery services in the area. There are different types of propane tank sizes, shapes and installation methods used that are available to customers throughout the New England area. The type and size you choose will depend on your use, the purpose of the propane at your location – residential, commercial or industrial – and how it will be installed on your property. Different types of tanks as well as various propane tank sizes will be available through different dealers depending on the general needs of the community. While it is possible to do a special order based on your unique requirements, there are several propane tank sizes that are available standard through most retailers. The sizes, of course, are based upon use. While it might seem like a great idea to just buy the biggest propane tank sizes available to limit the number of times you have to get a propane tank refill, that isn’t always the best option. There are size limits on propane tanks in Portsmouth, as well as everywhere else, depending on local laws and restrictions. Most of these are based on safety, so it is important to make sure that you adhere to these regulations when you look into propane prices for tanks and delivery. Propane Tanks in Portsmouth: What Size Do I Need? The reason why propane tank sizes vary so much is because they are installed based on consumer needs. Propane prices on tanks for purchase, lease or rental can also vary, making budget a determining factor in many case on the propane tank sizes that are used by consumers. There are many different sizes of tanks available that are served by contract or as-you-need-it propane tank refill by local companies. The amount of time that you will have to get a propane tank refill will depend on a couple of different factors. The number of appliances that use propane tanks in Portsmouth at your property, changes in weather – hot or cold, the number of people living in your home and your choice of propane tank sizes. Obviously, a smaller tank would need to get a propane tank refill more often than larger propane tank sizes. Propane Tanks in Portsmouth: What Type is Best? The type of propane tank that you choose will depend greatly on the intended use, however you can still choose from above ground, underground and vertical tank shapes and installation methods. Some homeowners choose underground propane tank sizes because they are out of sight with just a small dome sticking out a couple of inches from the ground for propane tank refills. Above ground tanks are most common as they are easily installed and maintained. Speak with a trained, experienced propane tank delivery and service company representative at Columbus Energies for advice on propane tank sizes, shapes and styles that are right for you and where your house is located. 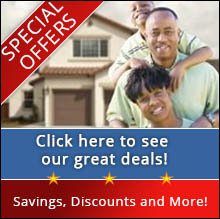 They can help you choose the type of propane tank that will best suit your needs at propane prices that you can afford. Columbus Energies offers a convenient automatic propane tank refill service to its customers throughout Rhode Island and Massachusetts. Join our auto delivery program and never again worry about running out of propane when you need it most. Our team will help you choose and install propane tanks in Portsmouth or anywhere within our service zone, choose which type of propane tank sizes would work best on your property and set you up with a propane tank refill service. If you prefer to call for a propane tank refill on your own, just make sure to call by 8am for same-day delivery. Columbus Energies also works with many local fuel assistance programs to help our customers afford propane prices year-round. Contact our office to find out more about our participation in the R.I. Fuel Assistance program, Citizen for Citizen, Citizens Energies, the Salvation Army and several others. Columbus Energies is a member of NORA, the National Oilheat Research Alliance, as well as the New England Fuel Institute (NEFI), Mass Oil Heat Council (MOC) and the Oil Heat Institute (OHI). We provide quality delivery of home heating oil and propane, providing refills, installations, repairs, services and some of the best home heating oil and propane prices you will find in the area.